After the teaser trailer for Avatar premiered to a lot of fan debate a few days ago, we now also have the Avatar video game trailer for you, as well as a batch of images from the accompanying toy line. The video game of Avatar has been in the making for over two and a half years now, being developed right alongside the movie. Unlike most games based on upcoming movies (which are mostly just rushed to get it on the shelves when the movie comes out), the Avatar game was developed as an extension of the movie. The game has its own creatures, settings and weapons, some designed by Ubisoft (the game company) and some even by Weta (who're doing the CGI for the movie). James Cameron has even revealed that some of things in the game he incorporated into the actual movie. Is it just me or do some of the visuals look pretty poor? Some of it IS pretty cool, and I'm certainly willing to give the game a shot because it means I'll get to roam around Avatar's "other planet," Pandora. But the words of praise around the game don't seem to be just hype if this trailer is anything to go by. 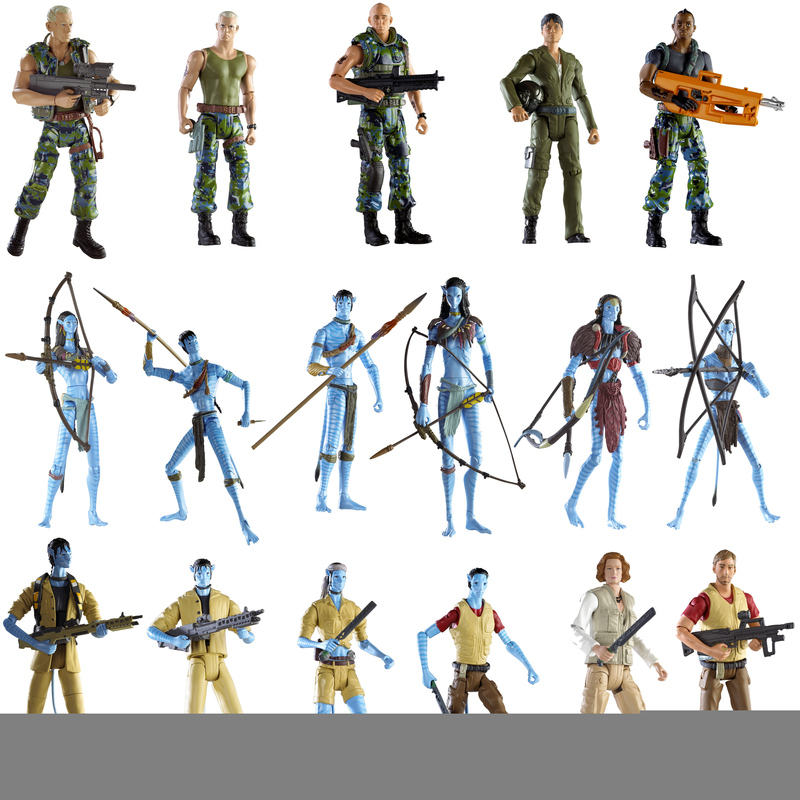 Along with the Avatar video game trailer, we also have a bunch of images of the Avatar action figures. 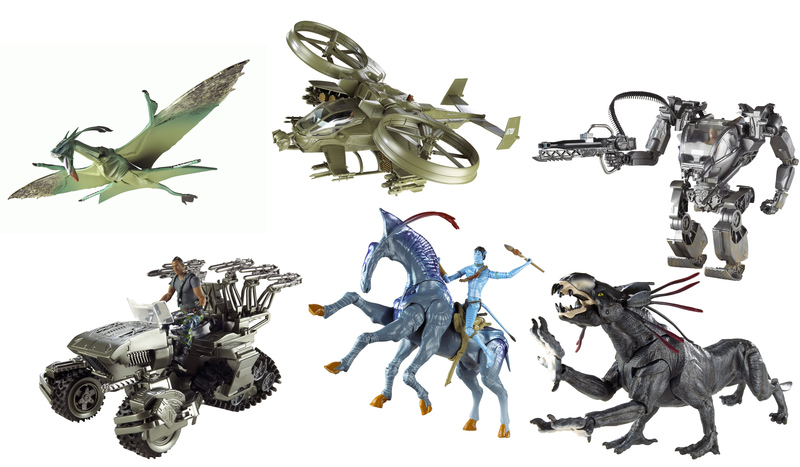 We got a quick look at one of the toys early last month, but the image was swiftly pulled down by the studio. This wasn't surprising, considering that at the time the toy was our first real insight into what the blue Na'vi aliens of Avatar look like, and toys don't always show off a character in the best light. Just as an added piece of Avatar info: the Avatar trailer that debuted on Thursday, August 20th, has become the most viewed trailer on Apple.com with about 4 million streams in the first day, thrashing the previous record of 1.7 million. Even with the fiasco of not being able to view the trailer immediately after its debut on Apple's site, that still shows there was plenty of people eager to get a look at Avatar (to say the least!). What are your thoughts on the Avatar video game trailer? What about the toy line? The Avatar video game is set to be released sometime on early November 24th, 2009, with the actual movie being released in 3D and regular theaters on December 18, 2009.